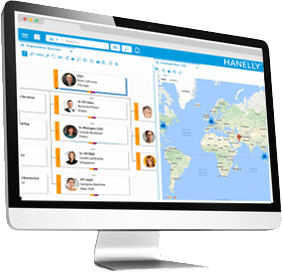 Hanelly lets you view your org, organize your teams and effectively plan for change. See what’s possible with Hanelly. No one does org charts better than we do. 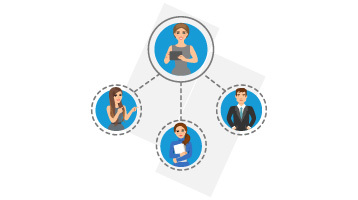 If you’re a small business or major enterprise, Nakisa Hanelly has you covered from simple org chart visualization to detailed analytical reporting and full organizational design capabilities. 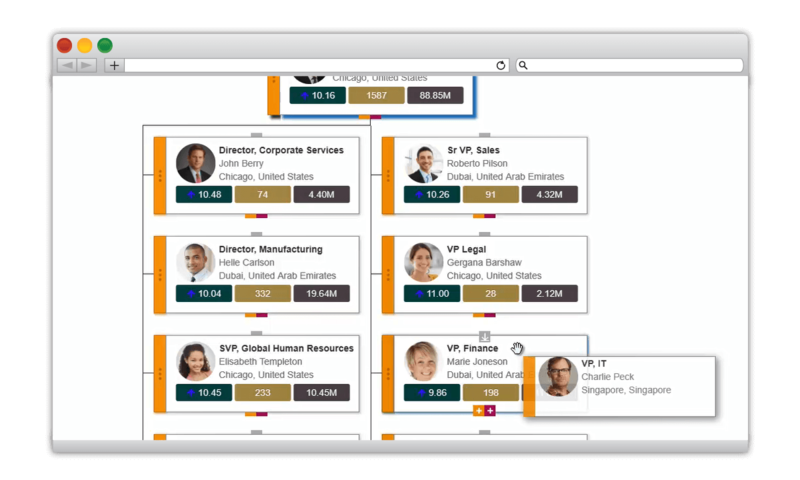 Create and publish organizational charts with Hanelly’s robust, out of the box solution. 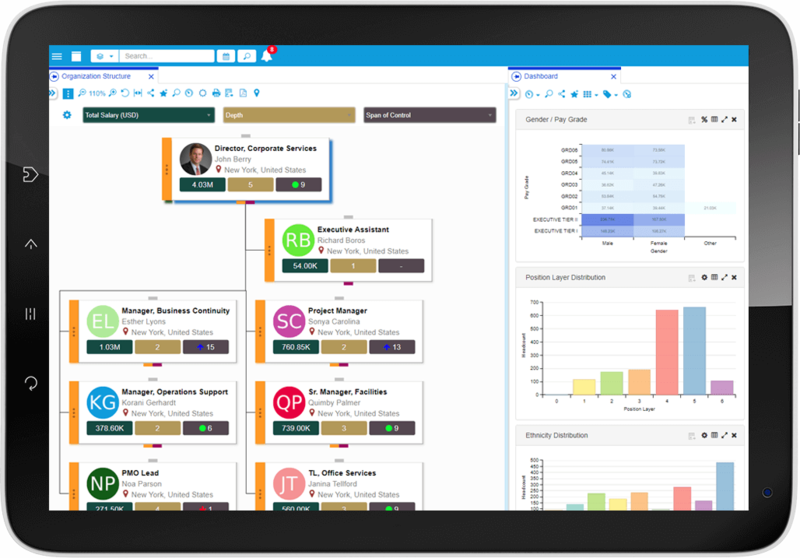 Leverage your current HCM system(s) in a tool that uses that information to create org charts that include in-chart analytics such as diversity, talent and organization metrics. 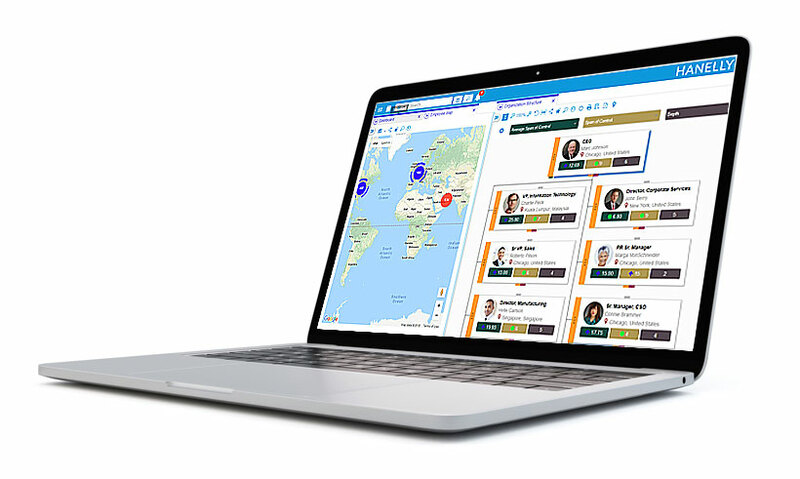 From reorganizations to Reduction In Force (RIF) activity, Hanelly’s intuitive drag and drop modeling capabilities let you test multiple scenarios to optimize your transformation and align with stakeholders on KPI’s. HR today is more and more data-driven. 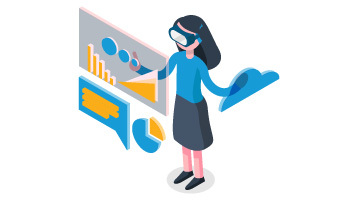 Increased pressure from executives and stakeholders for HR to better measure the impact of decisions and how they affect ROI, means that HR need better visibility into their data. 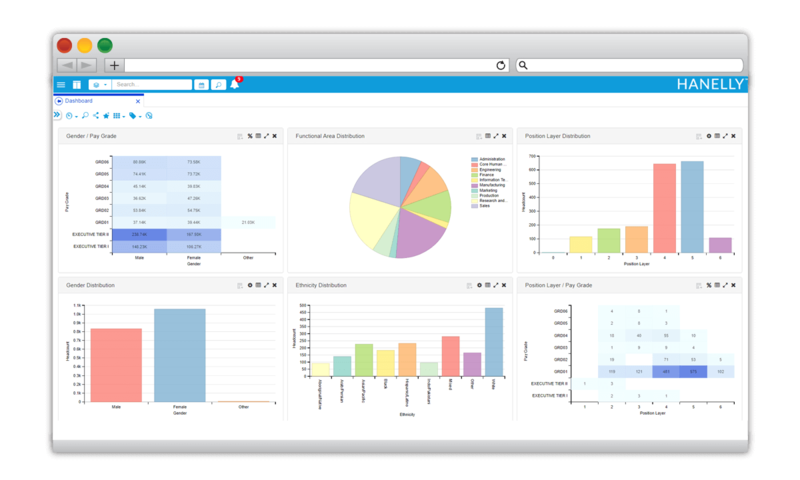 Hanelly provides a comprehensive set of HR analytics that include high-level dashboards with drill-down capabilities that provide clear visibility into key HR metrics. How does Hanelly compliment to your HR tech kit? 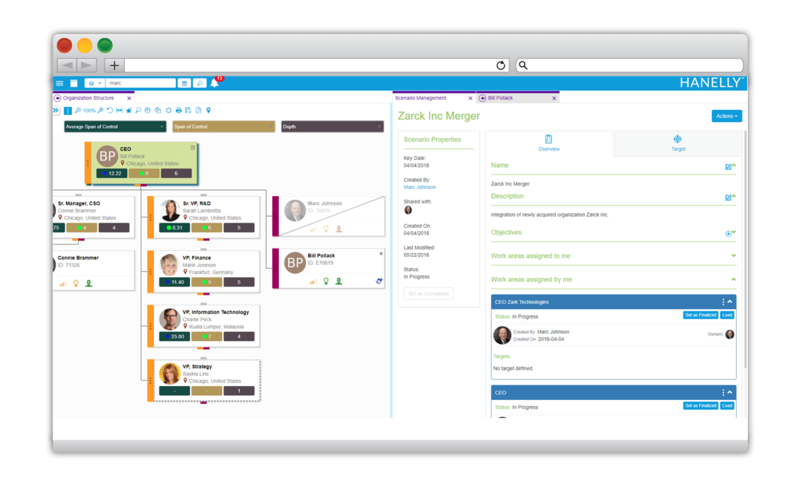 HCM solutions are increasingly part of the HR tech kit used in the day to day function of HR, particularly in larger organizations. However, in a global business, not every business unit will be using the same solution. In some cases, Excel or Visio may still even be the go-to solution. How can you combine that essential information for one global view when a re-org happens, or any major transformative activity? That integrated data allows a complete and accurate view that facilitates faster, more informed decisions, and is mandatory for business growth. 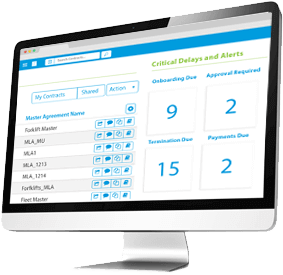 Nakisa Hanelly is the organizational charting and design solution that is capable of all this and more. Technology has already changed the way that HR functions. 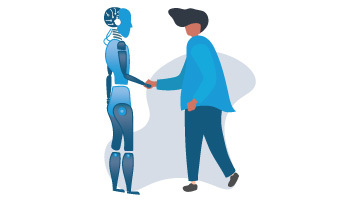 Adapting to the changing landscape of HR tech can revolutionize the way your workforce functions, and what the future of your organization looks like.